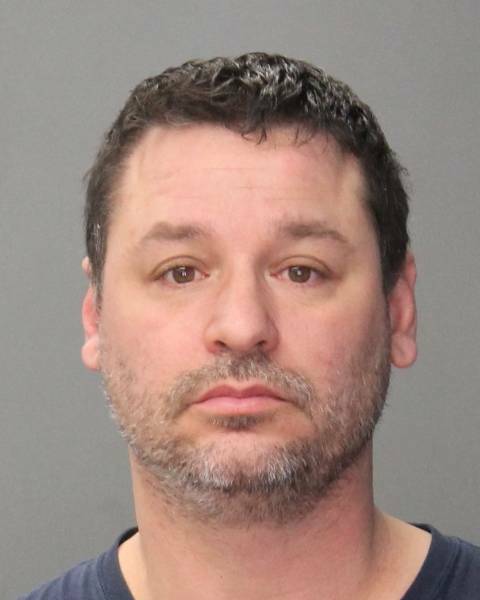 On January 29, 2019, Patrick Loria, age 44, of 113 North Orange Street Port Jervis, was charged with Attempted Murder in the 2nd Degree, a Class B Felony, Criminal Possession of a Weapon in the 3rd Degree, Class D Felony, Criminal Mischief in the Third Degree, a class E Felony, Endangering the Welfare of a Child and Menacing in the 2nd Degree, both Class A Misdemeanors. The arrest is the result of an investigation into a report of a violent domestic disturbance that occurred at the defendant’s residence during the evening hours of January 29th. The defendant is alleged to have arrived at the residence and forcibly damaged and entered through a front door while his son was attempting to prevent him from gaining entry. When officers arrived at the scene, they heard yelling and screaming occurring inside the residence. Officers made numerous attempts to make contact with the occupants without success. Officers then observed the defendant inside the residence walking around waving two large butcher and steak knives screaming and yelling. Port Jervis Police Officers forcibly entered the residence and confronted the defendant who was in possession of the large knives. After being ordered by the officers to drop the knives, Loria fled to the upstairs of the residence where he barricaded himself inside a bathroom. Officers located the defendant’s wife hiding inside the residence and were able to remove her to safety. Officers were able to safely negotiate Loria’s surrender without further incident after a brief stand-off and reunited the children with their mother. The defendant was charged with Endangering the Welfare of a Child based upon his actions during this incident including telling his children that he was going to kill their mother and the police. The defendant was held overnight in the Port Jervis City Lock-up, arraigned in Port Jervis City Court and remanded to Orange County Jail in Lieu of $100,000 bail pending further court appearances. District Attorney David Hoovler, whose office is prosecuting the case, stated the matter will be presented to an Orange County Grand Jury and urges all who are victims of domestic abuse to seek assistance from law enforcement. DA Hoovler additionally thanked the Port Jervis Police Department, their assisting law enforcement partners and Safe Homes of Orange County for their swift response and resolving the matter with no violence. Port Jervis City Police Chief William Worden praised the brave actions of the teenaged son in protecting his mother and the rapid response and decisive actions by the responding Port Jervis Police Officers who courageously placed themselves in harm’s way to protect the family and resolve a very dangerous situation peacefully. Safe Homes of Orange County and the Orange County District Attorney’s Office assisted Port Jervis Police with the investigation. Patrols units from the Deerpark Police Department, New York State Police, Orange County Sheriff’s Office responded to the scene to assist City Police. If you or someone you know is the victim of intimate partner violence please contact your local police or Safe Homes of Orange County at 845-562-5340 – twenty-four hours a day. Notice: A criminal charge is merely an allegation by the police that a defendant has committed a violation of the criminal law, and it is not evidence of guilt. All defendants are presumed innocent and entitled to a fair trial, during which it will be the State of New York’s burden to prove guilt beyond a reasonable doubt.